Situated in Cedar Point, this hotel is 0.7 mi (1.1 km) from Salty Air Open Market and 1.4 mi (2.3 km) from The Golfin Dolphin. Star Hill Golf Club and Cedar Point Tideland Trailhead are also within 6 mi (10 km). Relax by the River at the Cottage at Cedar Point -- Kayaker's Dream! Situated by the ocean, this historic cottage is 0.2 mi (0.4 km) from Salty Air Open Market and 2.3 mi (3.8 km) from The Golfin Dolphin. Star Hill Golf Club and Cedar Point Tideland Trailhead are also within 6 mi (10 km). 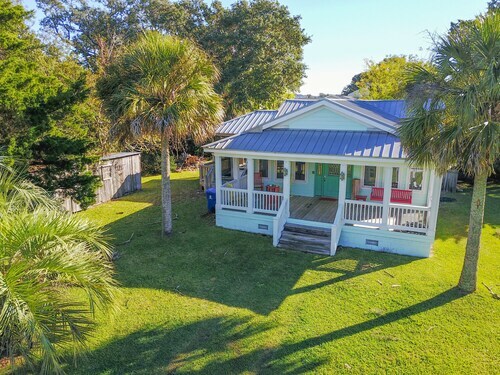 Situated by the ocean, this vacation home is within 2 mi (3 km) of The Golfin Dolphin, Cedar Point Tideland Trailhead, and Star Hill Golf Club. Croatan National Forest is 2.4 mi (3.9 km) away. 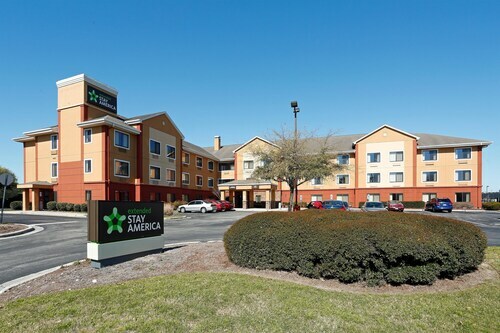 Situated in Jacksonville, this hotel is 1.2 mi (1.9 km) from Coastal Carolina Community College and 1.7 mi (2.8 km) from Jacksonville Mall. Pelletier House and Camp Gilbert H. Johnson are also within 6 mi (10 km). How Much is a Hotel Room in Cedar Point? Hotels in Cedar Point start at $105 per night. Prices and availability subject to change. Additional terms may apply. Planning on spending a rollicking few days in Morehead City? Through Travelocity, you can select from several places to catch your breath in Cedar Point. You'll find 6 accommodation options in and around Cedar Point that should work for you. 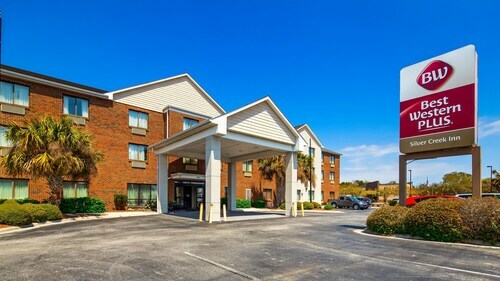 The Best Western Plus Silver Creek Inn is amongst the most ideally situated Travelocity-listed accommodation options, one of only a small number of choices that are within walking distance of the Cedar Point downtown area. 3 miles (6 kilometers) from the city center of Cedar Point, you can find the Oceanview Inn. 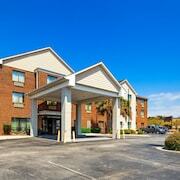 The Holiday Inn Express Havelock NW- New Bern is positioned 17 miles (27 kilometers) away. The Hampton Inn Havelock as well as the Best Western Plus Silver Creek Inn are two alternative hotel options around Cedar Point. For those who are wanting to see some more of the beaches and coastal plains that can be found in this part of the world, you should book some time in other places in Coastal North Carolina. It's no matter if you immerse yourself in commonplace regional activities, like hiking, or instead decide to travel widely to photograph the natural landmarks of the region, you will easily reserve the best places to stay around here. Atlantic Beach is 20 miles (33 kilometers) to the east of Cedar Point and is where you'll find Fort Macon State Park and Anchorage Marina. When you head to Atlantic Beach, check out the Hampton Inn Morehead City and Peppertree Atlantic Beach Villas a Festiva Resort. Or, stay the night in Pine Knoll Shores, 15 miles (24 kilometers) east of Cedar Point, where you can choose from the DoubleTree by Hilton Hotel Atlantic Beach Oceanfront and Hampton Inn & Suites-Atlantic Beach. When you stay in Pine Knoll Shores, make sure you explore the North Carolina Aquarium at Pine Knoll Shores and Country Club of the Crystal Coast. Craven Regional Airport is a primary arrival point for flights, and is found 25 miles (43 kilometers) from Cedar Point's center. Travelocity-listed hotels nearby are The Captain's Stay and The Aerie Bed and Breakfast.